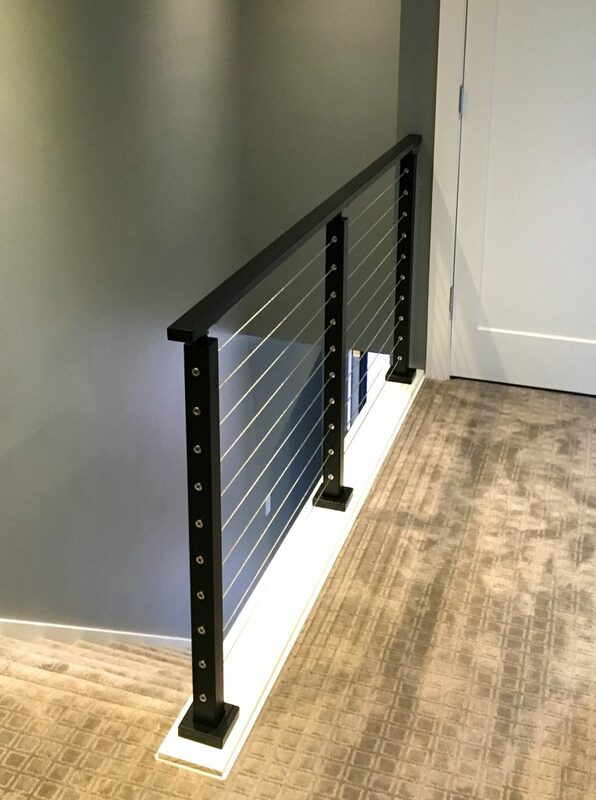 Black powder coated cable railing posts provide beautiful contrast with the stainless steel components. 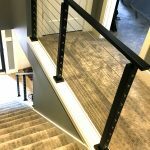 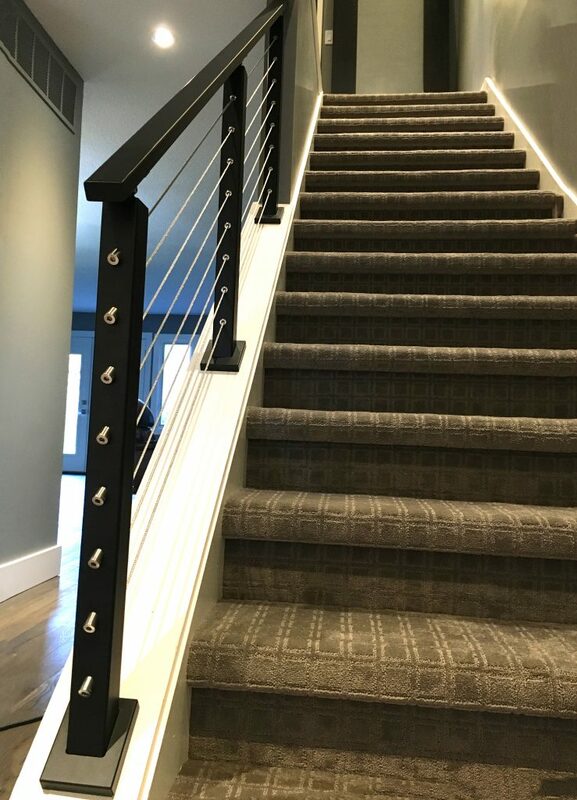 This contemporary home utilizes black coating for both the posts and handrail. 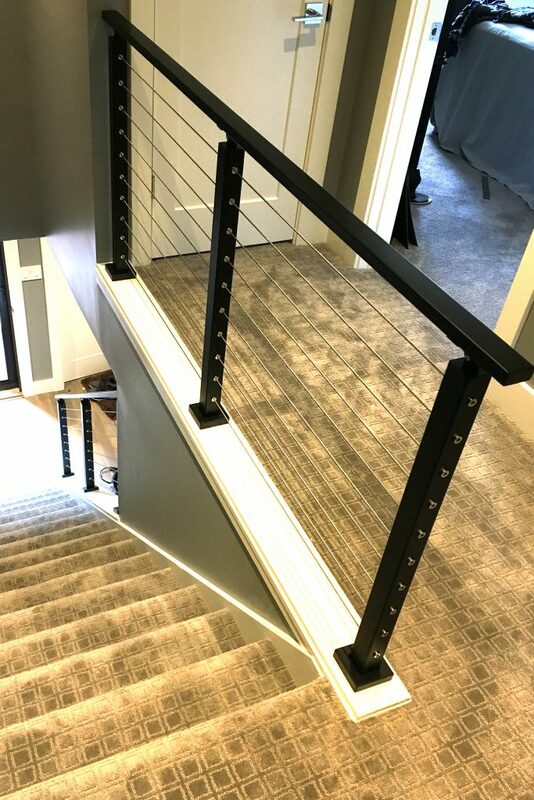 Our angle foot universal top posts are on the kneewall cap, while our flat bottom surface mounts sit on the level landing. 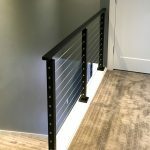 The overall system compliments its surroundings and serves as a focal point for the entryway.